There is the potential this afternoon and evening of storms across eastern NSW. Upper level temperatures are pretty modest even for this time of the year. I thought it was worthy of discussion. 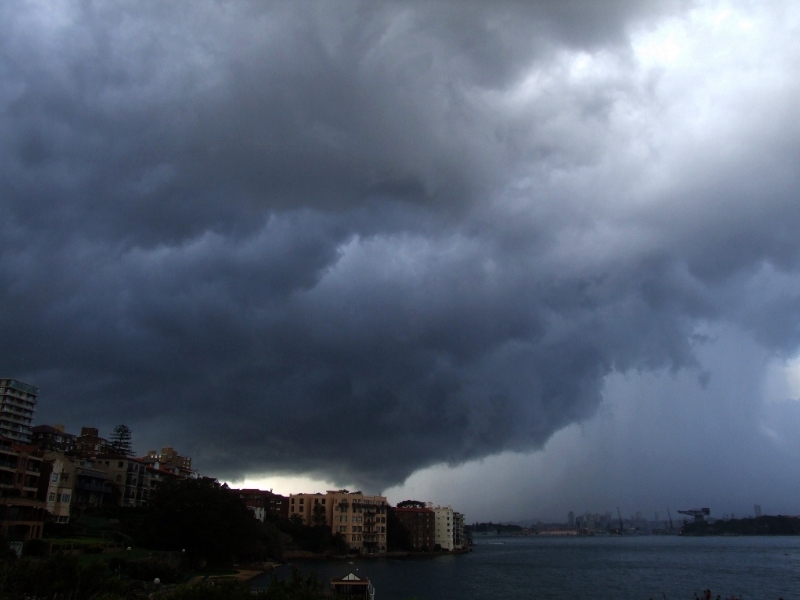 Some heavy falls from coastal storms in the eastern suburbs of Sydney this morning. Unofficial report of 76mm in 2 hours to 10am. Issued at 3:00 PM Wednesday, 4 April 2007. Severe thunderstorms may produce large hailstones, damaging winds, very heavy rainfall and flash flooding in the warning area over the next several hours. Major locations within the warning area include Bathurst, Oberon and Katoomba. It has all weakened now but some showers could pass over this evening here at Schofields. suburbs this morning ... 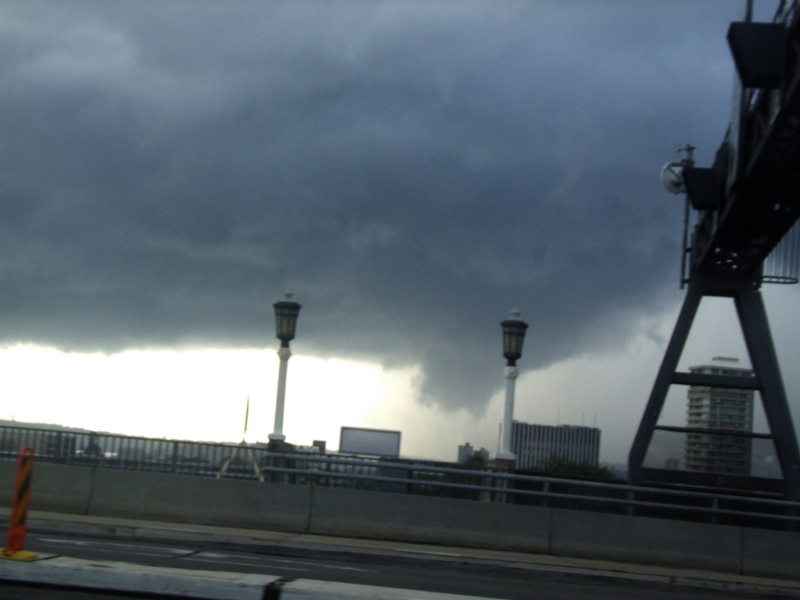 I thought it was about to drop a tornado. bridge at the time before going down to the Milsons Point area at the nthrn end of the bridge. Nice catch! Spoke to Nick last night and he also captured and described the same feature. Well put it this way, there were low bases yesterday and the shear based on inflow were such that it was deep inflow. Could you please indicate which direction we were looking? 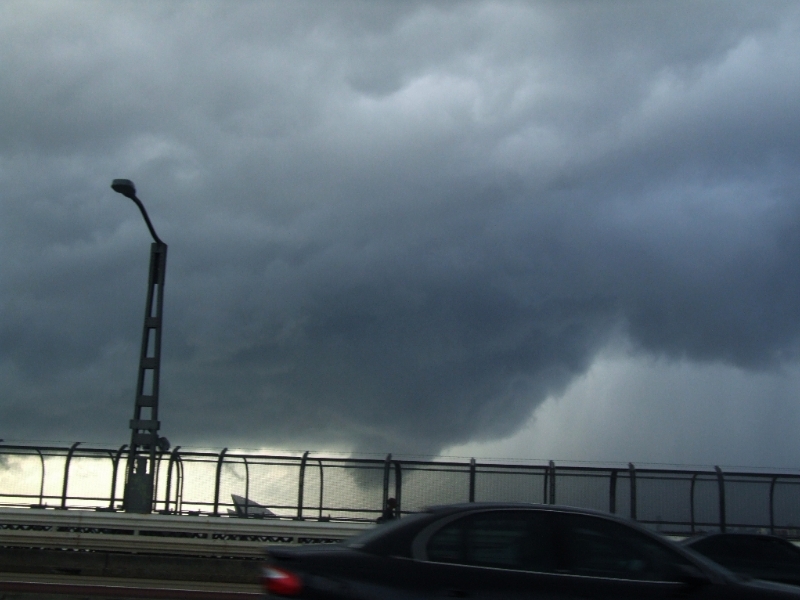 It looks as if it were outflow and inflow interaction. How long did the feature last? Seeing that sea surface temperatures were modest and the upper levels were cold, that provided decent lapse rates for the coastal suburbs at least during the morning. 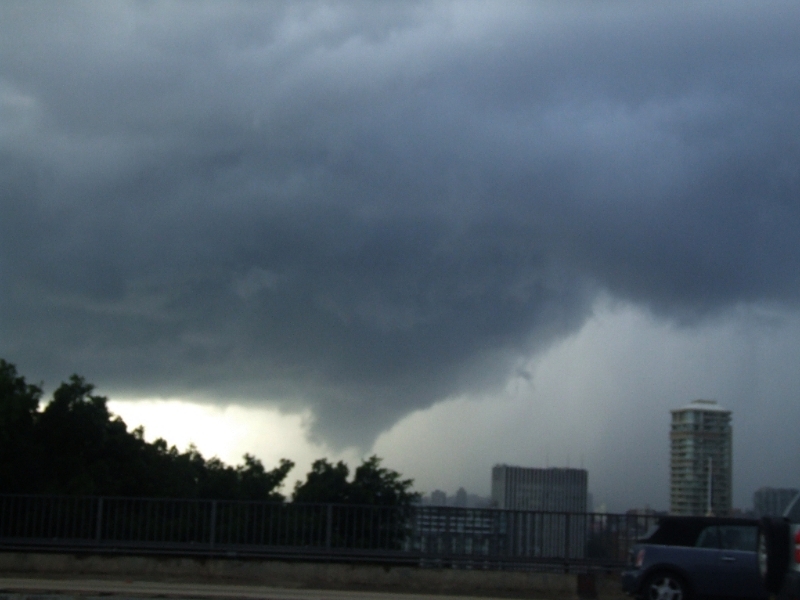 Despite the dynamics, there was the potential of waterspouts yesterday. Garden Island naval base in the lower right of the pic. Great shots Dave considering you were on the move too. Talk about low bases. I particularly like the shot with the tops of the Opera House in the foreground. It is interesting that Jimmy mentions possible outflow/inflow interaction. 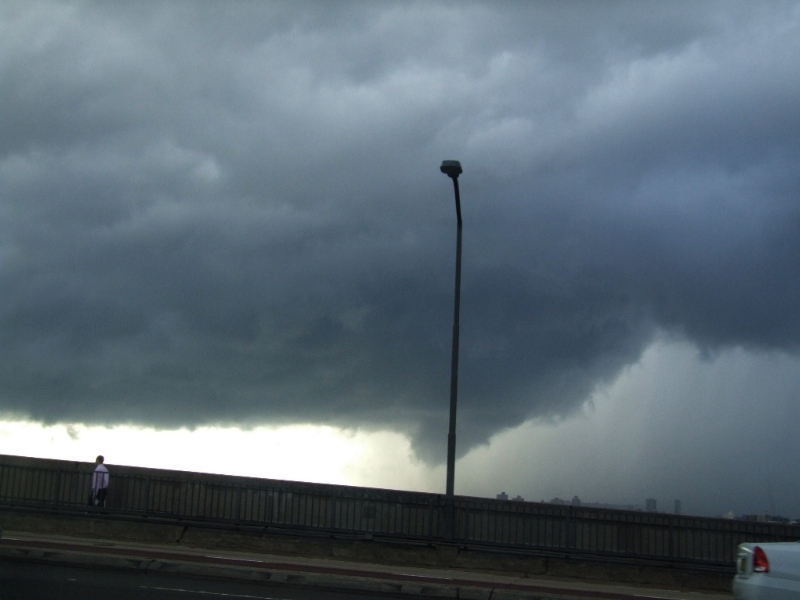 Was the rotation you saw clockwise or anticlockwise? Hi guys , sorry to take a while. this storm for a while did appear to have angular motion in the base but i thought at first it was gust front stuff but it was interesting then it weakened rapidly. I shot this from Vaulcuse then drove into the rain in rose bay where i proceded to run up the arse of someone on new sth head rd so i got drenched sorting out all the crap you do when you have a fender bender. nice to know I'm not the only one to have done that !!!!! Thanks for your pix of that event from a different perspective.